His 2nd-annual compilation of delicious, more-affordable wines highlights the best from Washington, Oregon and Idaho. WE STARTED THIS “Wines Under $30” list a year ago because many of the wines I select for my “Top 50 Wines of the Year” list tend to be more expensive. The feedback was good, so we’re doing it again. Fortunately, plenty of bargains can be found throughout the Pacific Northwest. One area that is particularly affordable is British Columbia. 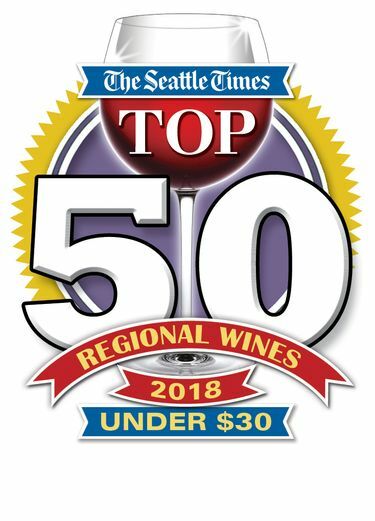 I’m reticent to include many from Wild Goose, Gehringer Brothers and other favorites on this list because the wines aren’t available in the United States. So a few wines that were on last week’s Top 50 list are not included on this more-affordable list, for that reason. The majority of the wines on this list are from Washington, Oregon and Idaho. Ask for the wines at your favorite wine merchant, or contact the wineries directly. I chose $30 as the upper threshold because that seems a reasonable amount to spend on a good bottle of wine. To save more money, you can get a discount if you purchase six bottles or more. Joining a winery’s wine club typically earns you discounts, waived tasting fees, special events and other benefits. Here are 50 delicious wines that cost $30 or less a bottle. 1. 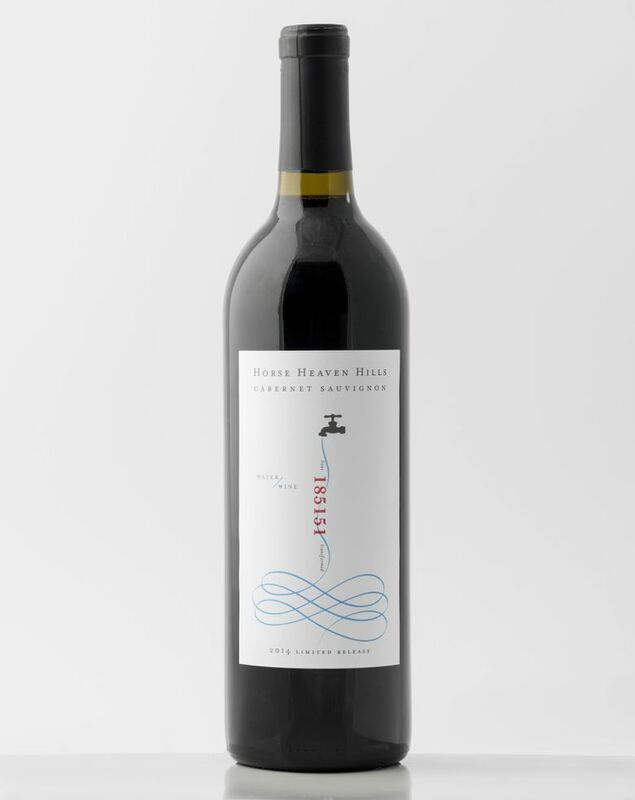 Water from Wine 2014 cabernet sauvignon, Horse Heaven Hills, $30: This nonprofit winery in Paterson donates all proceeds to clean-water projects around the world. This wine by Charlie Hoppes is as spectacular as the idea. 2. Browne Family Vineyards 2015 Tribute red, Columbia Valley, $30: I’m a sucker for reds with big shoulders. This blend of petite sirah, petit verdot and malbec checks all the boxes for me. 3. Ste Chapelle 2015 Panoramic Idaho petite sirah, Snake River Valley, $28: My love for this variety is well-documented, and this version from Southern Idaho surprised me with its bold plum, cocoa and spice notes, backed by bold yet approachable tannins. 4. Ginkgo Forest Winery 2012 petit verdot, Wahluke Slope, $30: This little-known winery near Mattawa is crafting delicious wines from estate grapes grown in the warm Wahluke Slope region. This is a big, round, ripe version of petit verdot that should be a hit with syrah lovers for its massive yet still jammy midpalate. 5. Figgins Estate 2016 riesling, Walla Walla Valley, $30: From the producers of Leonetti comes this sterling riesling, bone-dry, with dramatic acidity backing fresh orchard fruit. We don’t think of aging riesling, but this is a good candidate. 6. Barnard Griffin 2017 Rosé of Sangiovese, Columbia Valley, $12: This is the standard in the Northwest (perhaps the entire West Coast) for pink wine; it’s bone-dry, and bursting with flavors of cranberry, raspberry, strawberry and cherry. 7. Jones of Washington 2016 viognier, Wahluke Slope, $15: If there is a classic example of this Rhone white, this is it, thanks to round, creamy, luscious aromas of orange, vanilla and lime zest, followed by creamy mouth feel, backed with a surprising amount of acidity. It’s all about balance, and this has plenty. 8. Wind Rose Cellars 2013 primitivo, Yakima Valley, $25: Sequim winemaker Dave Volmut focuses on Italian varieties, and Primitivo is thought to be a clone of zinfandel, increasing its popularity in Italy. This example reveals classic notes of ripe raspberry, Bing cherry and cranberry compote, all backed by racy acidity and spicy complexity. 9. 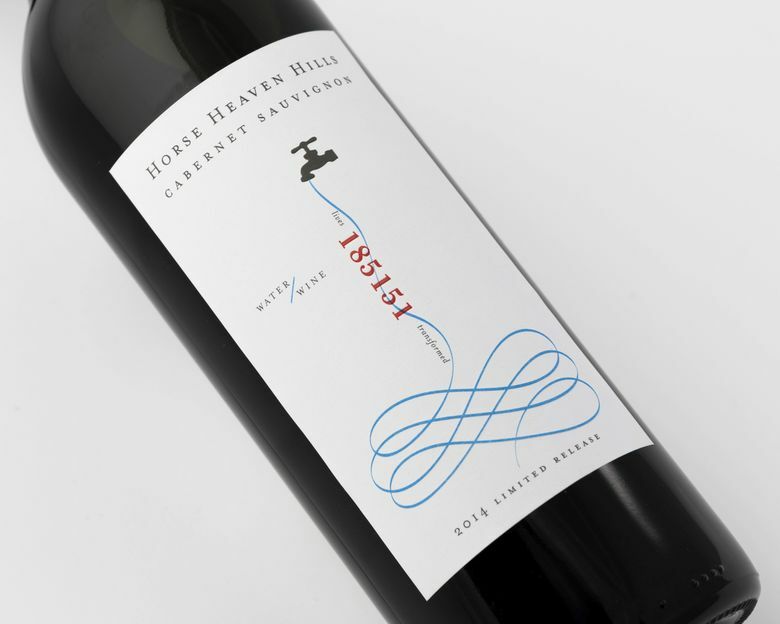 Huston Vineyards 2016 malbec, Snake River Valley, $29: This malbec is fascinating to me, primarily because the vineyards of Southern Idaho are high-elevation, just like those in Argentina. Not sure there’s a correlation there, but it’s worth exploring, and this example is loaded with dark, ripe fruit and black pepper, backed with classic mild tannins and firm acidity. 10. Westport Winery NV Rapture of the Deep, Washington, $29: Aberdeen winemaker Dana Roberts brings in cranberries from the nearby Cranberry Coast for this sparkling delight that screams purity of fruit, perfectly delightful for your Thanksgiving feast or simply for enjoyment on a warm weekend evening. Nothing says “coast” like this wine. 11. Mercer Family Vineyards 2017 sauvignon blanc, Horse Heaven Hills, $13: This large Yakima Valley producer makes consistently delicious wines at fair prices. This sleek sauv blanc is delicious, with hints of minerality, orchard fruit and sweet herbs. Perfect for seafood. 12. Brian Carter Cellars 2015 Abracadabra red, Columbia Valley, $25: Woodinville vintner and master blender Brian Carter scores every vintage with this syrah-leading blend. 13. Domaine Ste. Michelle NV brut rosé, Columbia Valley, $12: I once put this in a blind tasting with several famous Champagnes, and it held its own. 14. Charles Smith Wines 2014 The Velvet Devil merlot, Washington, $13: South Seattle vintner Charles Smith brings the delicious with this luscious merlot. 15. Clearwater Canyon Cellars 2017 Umiker Vineyard Lochsa chardonnay, Lewis-Clark Valley, $15: This effort from a top Lewiston, Idaho, winery is among the best chardonnays in the Northwest. 16. Columbia Crest 2015 Grand Estates cabernet sauvignon, Columbia Valley, $12: It’s hard to beat this value-minded bottle from a large producer. Broadly available. 17. Gamache Vintners 2013 malbec, Columbia Valley, $30: Consistently among the best malbecs. I was tempted to put this in my Top 50 list. 18. Grantwood Winery 2016 petit verdot, Walla Walla Valley, $22: This oft-overlooked Walla Walla producer has a reputation for startling wines at a great price. You’d be hard-pressed to find a better red. 19. Jones of Washington 2016 riesling, Ancient Lakes of Columbia Valley, $10: This sleek white from a longtime producer in Quincy is among the best rieslings in Washington. 20. Kiona Vineyards and Winery 2013 cabernet-merlot, Washington, $15: This Bordeaux-style blend from Red Mountain’s original winery delivers huge red fruit backed by firm structure. 21. Canoe Ridge Vineyard 2016 Expedition cabernet sauvignon, Horse Heaven Hills, $15: This longtime Walla Walla producer crafts a delicious red at Tuesday-night prices. 22. 14 Hands Winery 2017 rosé, Washington, $10: A stunning pink from Washington’s No. 2 winery. Red fruit, bright acidity, delicious palate. 23. Apex Cellars 2016 The Catalyst red blend, Columbia Valley, $15: Perhaps the best-value GSM-style blend in Washington, this wine serves as a glimpse of this style’s greatness and potential. 24. Colter’s Creek Winery 2015 tempranillo, Lewis-Clark Valley, $20: This sturdy red is further evidence of the tremendous potential in Idaho’s Lewis-Clark Valley. Loads of fruit backed by sturdy tannins with a feral twist. 25. Crayelle Cellars 2017 albariño, Ancient Lakes of Columbia Valley, $24: Perhaps the best example of this Galician white, a great wine for Washington’s climate. 26. Eleven Winery 2016 roussanne, Yakima Valley, $24: This example from a Bainbridge Island producer reveals depth and character not typical of this white Rhone variety. 27. INTRINSIC Wine Co. 2016 cabernet sauvignon, Columbia Valley, $22: Rebellious ideas can lead to revolutionary wines, such as this delicious and affordable red. 28. Saviah Cellars 2016 The Jack syrah, Columbia Valley, $18: This affordable syrah from a top Walla Walla producer is priced for case purchases. 29. Vino La Monarcha Winery 2015 merlot, Columbia Valley, $22: This Kennewick winery is led by the brilliant winemaking of Victor Palencia, and this delicious red punches way above its weight class. 30. W.B. Bridgman Cellars 2016 chardonnay, Columbia Valley, $12: This value label owned by Precept in Seattle produces a sleek and delicious white, perfect for pasta and shrimp. 31. Washington Hills 2015 late harvest riesling, Washington, $10: Another Precept label. This delicious dessert wine is perfect paired with cheesecake. 32. Westport Winery 2017 Shorebird chardonnay, Columbia Valley, $26: This Grays Harbor producer is crafting delicious whites, including this sleek, minerally chardonnay. 33. Wild Goose Vineyards & Winery 2017 pinot gris, Okanagan Valley, $17: One of the top wineries in British Columbia, Wild Goose is making some of the best whites in our region, at a great price. 34. Wind Rose Cellars 2015 Hunters Red, Yakima Valley, $22: This Rioja-influenced blend from a Sequim winery is loaded with tempranillo, cab and grenache. It’s a big red with rustic tannins, perfect with grilled meats. 35. Yamhill Valley Vineyards 2017 Estate rosé of pinot noir, McMinnville, $16: Oregon is showing us that the best pinks come from pinot noir. This was one of the best rosés I tasted this year. 36. Domaine Ste. Michelle NV brut, Columbia Valley, $12: Washington’s premier bubble house crafts this bone-dry sparkler that is so good, you can enjoy it with everything from shellfish to curry dishes. No need to wait for a special occasion. 37. Airfield Estates 2015 chardonnay, Yakima Valley, $15: Airfield Estates is known for crafting wines of grace at affordable prices. 39. Brian Carter Cellars 2015 Opulento Dessert Wine, Yakima Valley, $22: A delicious fortified dessert wine that uses traditional Portuguese varieties. This is bold and delicious Port-style wine. 40. Canoe Ridge Vineyard 2016 The Expedition malbec, Horse Heaven Hills, $15: I’m a big fan of this flavorful red that refreshingly competes with Argentine imports on both quality and price. 41. Coeur de Terre Vineyard 2015 pinot noir, Willamette Valley, $22: Love Oregon pinot noir? Typically you’ll pay much more for a wine of this quality. Sleek, high-toned red fruit backed by bright acidity; it’s a classic Oregon pinot. 42. Columbia Crest 2016 Grand Estates syrah, Columbia Valley, $12: Bold plum and blackberry flavors with hints of anise, backed by plump tannins and a jammy midpalate. All for a great price. 43. Eaglemount Wine & Cider nonvintage Quince Mead, Puget Sound, $22: A delicious and fruit-laden honey wine from this Port Townsend cider house. 44. L’Ecole No. 41 2017 chenin blanc, Columbia Valley, $16: More Northwest wineries are embracing this often-overlooked white, but nobody does it better than this longtime Walla Walla winery. 45. Maryhill Winery 2015 cabernet franc, Columbia Valley, $26: Washington winemakers are embracing this Bordeaux variety, and winemaker Richard Batchelor shows what handcrafted cab franc should taste like. 46. Mt. Hood Winery 2017 Estate riesling, Columbia Gorge, $20: Among my favorite rieslings in our region, this could have gone on my wines-of-the-year list. Perfect tension between bright fruit and bold acidity. 47. Whidbey Island Winery 2015 cabernet franc, Yakima Valley, $15: This is a classic Washington cab franc from this Langley producer, combining dark, mature red fruit and subtle herbal notes backed by gentle tannins. 48. Cinder Wines 2016 chardonnay, Snake River Valley, $18: Ste. Michelle alum Melanie Krause is one of Idaho’s shining stars, a fact on display with this luscious white, which is loaded with tropical fruit and backed by perfectly balanced acidity. 49. Dazzle Cellars 2017 Julia’s Dazzle rosé, Columbia Valley, $20: A rare rosé of pinot gris (whose grapes are reddish) from the team at Long Shadows in Walla Walla, its sleek, bright fruit — backed by perfect acidity — helps set the standard for Northwest pink. 50. Duck Pond Cellars 2016 Reserve pinot noir, Willamette Valley, $28: This longtime winery in Dundee, Ore., has long been known for surpassing expectations, delivering quality well above its price point. This suave reserve-level pinot is another example, revealing deep, intense, red-toned fruit backed by mild tannins and bright acidity.